Empower Institutional is one of the nation's largest and fastest- growing recordkeepers. For over twenty years, we have helped institutions expand their retirement service offerings and grow their brands with customizable, flexible and scalable solutions. As a behind-the-scenes extension of an organization, we empower institutions to focus their energy and investments on their core competencies, remain on the leading edge of technology and innovations, create efficiencies while adding to their bottom line and maintain their autonomy while growing their client relationships. For more information, please visit us at www.empowerinstitutional.com. HealthEquity empowers Americans to build health savings by providing powerful tools for health savings accounts (HSAs) and other health financial services. We manage over $6.4 billion in deposits, which makes us one of the largest dedicated health account custodians in the nation. Our convenient solutions serve more than 3.3 million health savings accounts, owned by individuals at more than 40,000 companies across the country. With member support available every hour of every day, our team provides around-the-clock insight to maximize health savings. 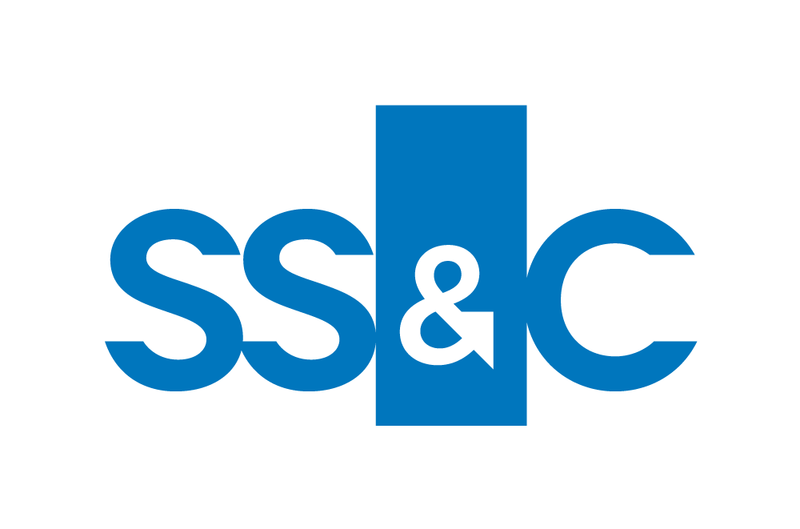 SS&C is a leading provider of specialized technology, strategic advisory, and business operations outsourcing to the financial and healthcare industries. We deliver flexible technology and business outsourcing solutions to help retirement plan providers, advisors and TPAs create lifetime engagement models for participants. Our retirement account servicing, rollover and income portability, plan health and analytics, advisor practice management, and personalized education capabilities span all plan and investment types, promote retirement savings, help clients support their fiduciary obligations, and can enhance the participant experience. Learn more at: www.dstsystems.com/retirement. Wells Fargo is a national leader in providing total retirement management, investments, and trust and custody solutions tailored to meet the needs of institutional clients. With 4.2 million participants and $389 billion in retirement plan assets, Wells Fargo ranks as the nation's tenth largest retirement plan provider according to the 2018 PLANSPONSOR DC Recordkeeping Survey. BenefitsLink daily e-newsletters provide the latest developments and analysis in plan compliance, administration, policy and design -- since 1995, we've delivered the very best articles to keep you on top of this ever-changing field. Website includes active message boards, industry news and an extensive calendar of conferences and webcasts. Find - and fill -- job openings on our sister site, www.EmployeeBenefitsJobs.com. And be sure to check out our mobile app -- now available in the Apple Store and on Google Play. 28,000 Employee Benefits Professionals rely on us to keep them up to date -- do you? 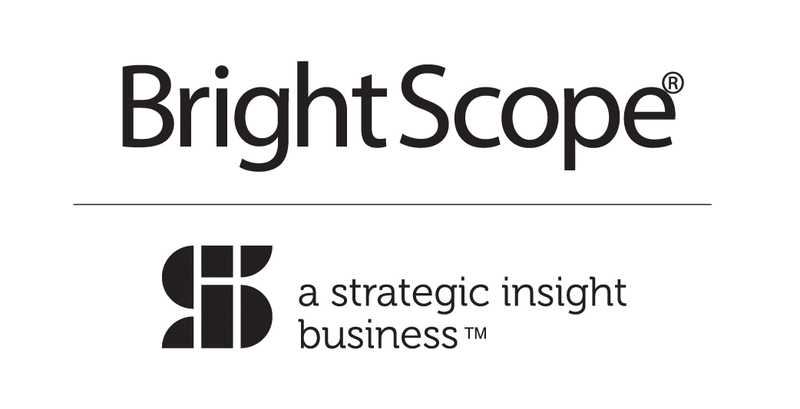 BrightScope, a Strategic Insight business, provides integrated data management and analytics through the SI Data division. BrightScope's best-in-class software solutions, including BI & Analytics, Data Networks, Sales Reporting, Industry Datasets, and CRM/Data Integration, facilitate more effective sales and retention strategies for the top financial institutions. With BrightScope, financial services firms know exactly how to leverage trended market share analysis, gain unparalleled visibility into advisor-to-plan relationships, and drive the growth of data-driven decision-making from every corner of the organization. Broadridge, a global fintech leader with $4 billion in revenue, provides communications, technology, data and analytics. We help drive business transformation with solutions for enriching client engagement, navigating risk, optimizing efficiency and generating revenue growth. Our integrated, front-to-back solutions translate data into actionable insights and streamline the investment lifecycle. Touching 90% of the world's mutual fund assets, we are uniquely positioned to help asset managers get ahead of today's challenges and capitalize on what's next. Enterprise Iron Financial Industry Solutions, Inc.
Enterprise Iron was founded in 2002 to provide specialized operations and technology and risk management consulting services. Dedicated exclusively to the financial services industry, Enterprise Iron has consistently and successfully delivered numerous significant engagements, with a special emphasis on the retirement industry. EI provides its clients with guidance in the areas of industry best practices, digital transformations, fiduciary practice assessments, platform search and selection, software installation and maintenance and operational improvements including cost take out, lean management and client service improvement. It has extensive experience serving recordkeepers, TPAs and plan sponsors. Enterprise Iron delivery models include advisory/consulting engagements, outsourced/managed services and high-skill staff augmentation to the financial services industry. Established in 1999, GuidedChoice is an independent advisory firm solely focused on fiduciary digital retirement investment advice supporting advisors, plan sponsors and participants. GuidedChoice's proprietary rules engine enables full customization to plan design and line-up, while its digital investment algorithms personalize each participant's investments with no commissions nor conflicts of interest. Fueled by a powerful mission -- the belief in financial freedom for all -- GuidedChoice has no affiliations with any institutional investor, investment manager, or brokerage firm. Clients include multiple government entities, nonprofit organizations, small businesses, and Fortune 500 corporations and advisory services support both qualified and non-qualified retirement plans. RCP Solutions specializes in risk management, compliance and communications programs that drive performance and the bottom line. A women-owned business with 100+ years of leadership experience across industries and disciplines, we leverage technology to integrate the many facets of business, risk and compliance to achieve the best results for clients.